If you are looking for an 'easy to prepare' recipe with excellent taste, then your search ends here. After tasting this dish, you will understand that this is THE recipe you had been searching for all these days. 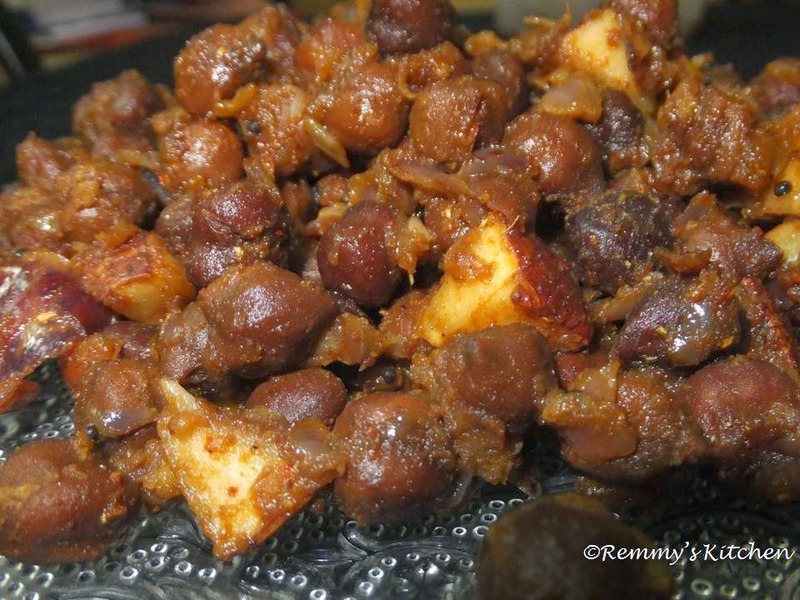 This yummy kadala (chickpea) dry roast goes well with chapathi and even rice.Hope you all will try it. 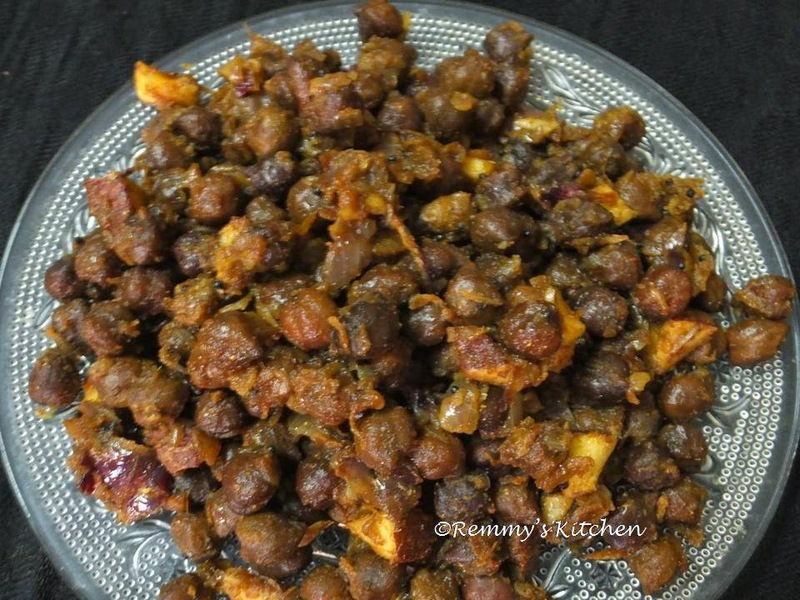 Soak chickpeas in water over night. Pressure cook it with water and salt for about 5 to 8 whistles (After the first whistle, I usually keep the stove on simmer mode for around 15 to 20 minutes). The water level should be just above the chick peas level. If excess water is present when the cooker is opened after the pressure subsides, cook it until it becomes dry. Add ginger garlic paste and saute it till the raw smell leaves. Now add onion ,coconut pieces and curry leaves. Saute it well till the onion turns soft and light brown in colour. Keep the flame in simmer mode. Add chilly powder,coriander powder and chicken / garam masala. Mix it well. Fry it on a low flame until done. Yummy chickpea dry roast is ready!! Love this recipe. Spicy dish with coconut pieces u tempted me so badly.